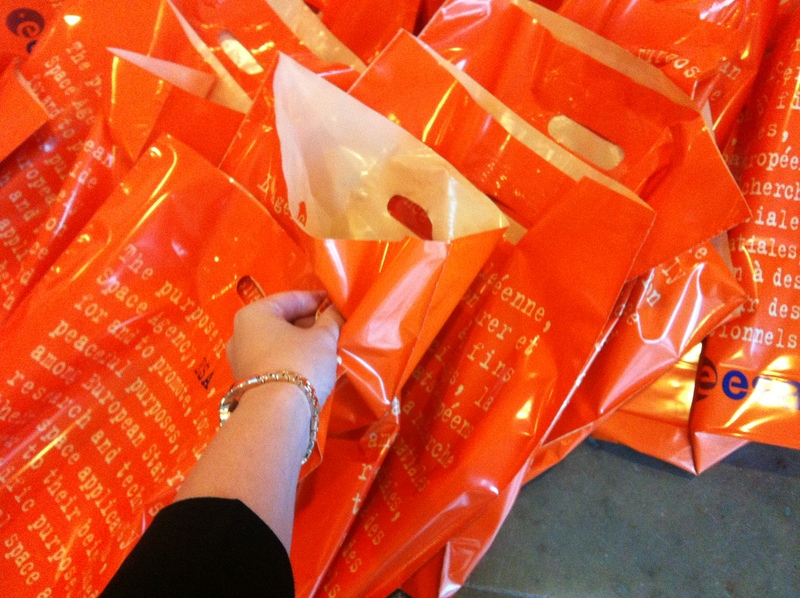 12.25 – Lining up for group photo. 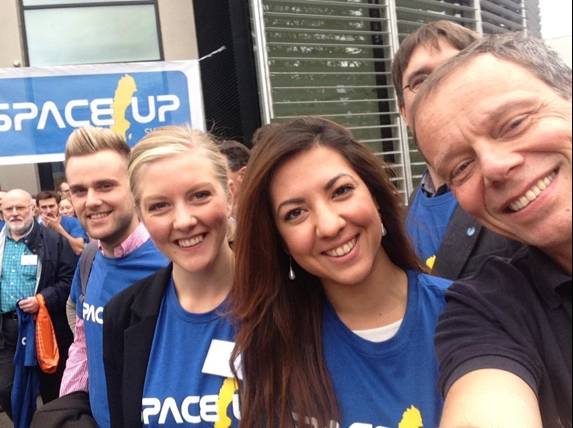 Christer Fuglesang takes a selfie with me and Hannah Lindberg! 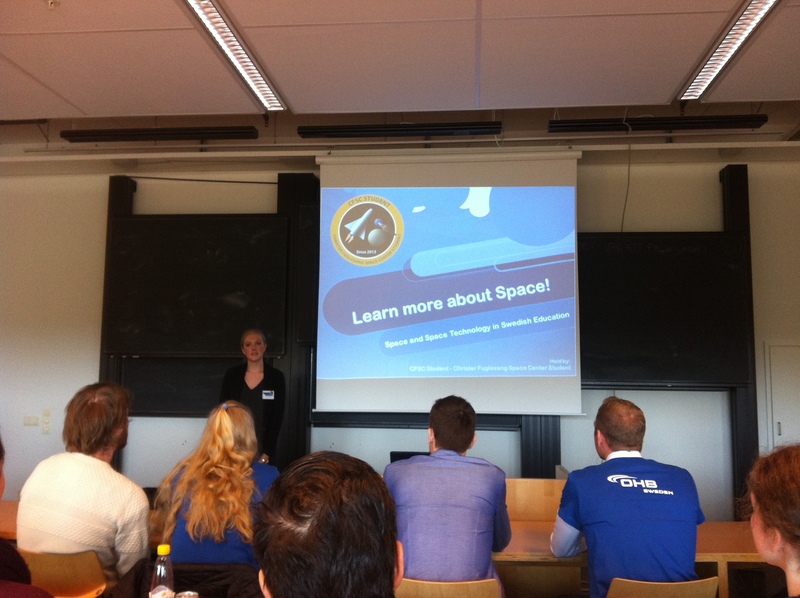 13.59 – Time for CFSC Student at SpaceUp! 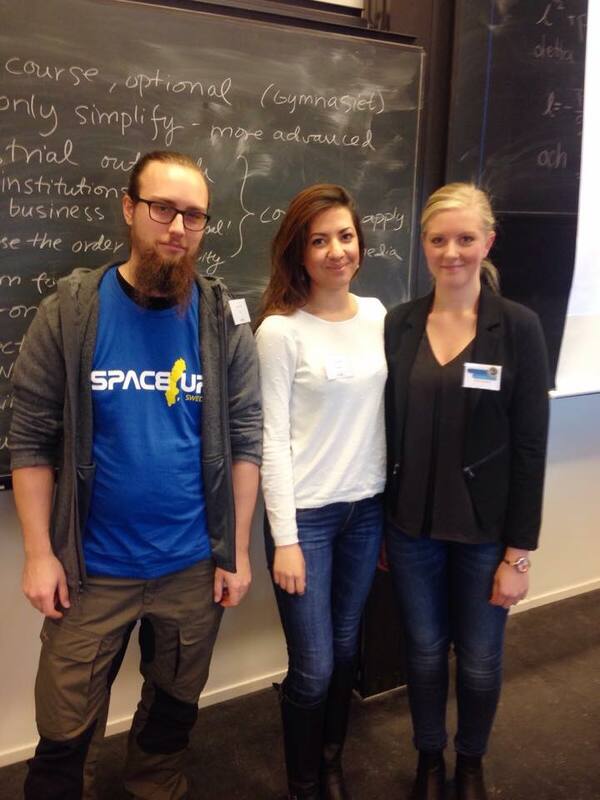 A few members lined up after the workshop. 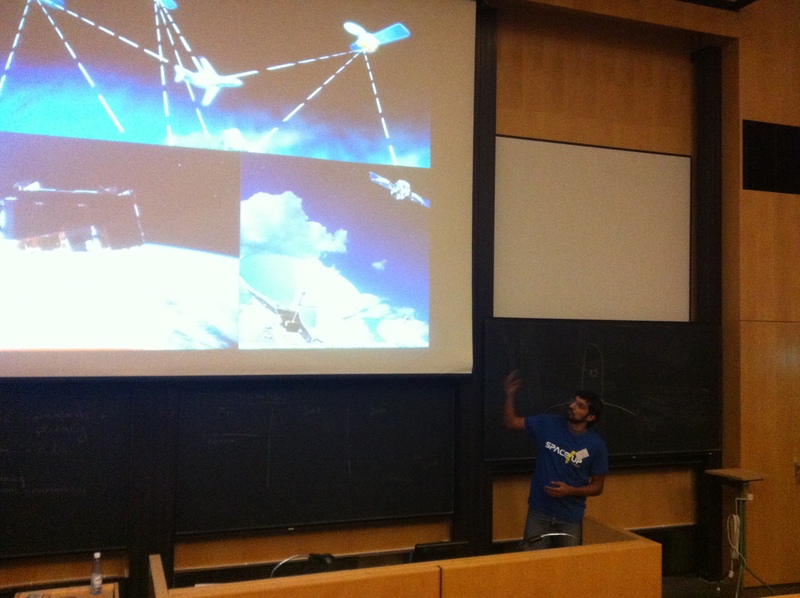 15.42 – Space Debris presentation – Important to raise awareness! 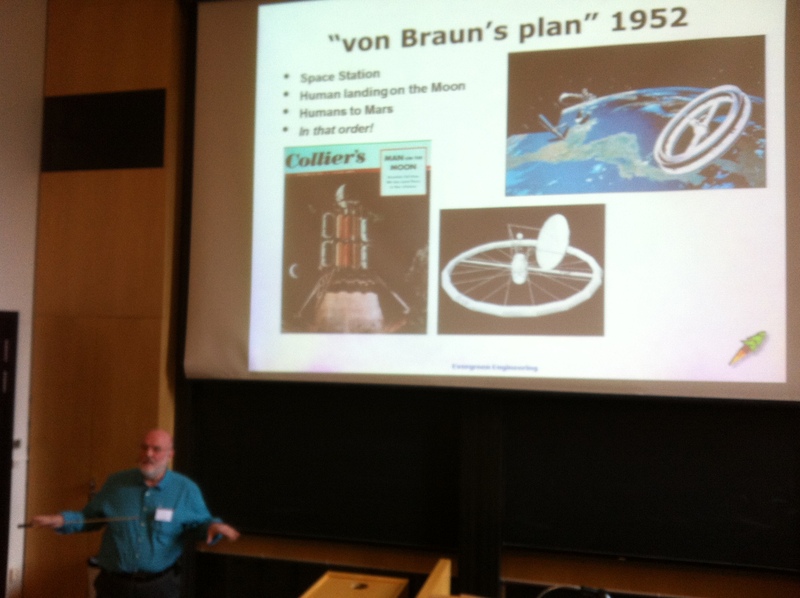 16.06 – Mars of Earth: Call for Analogue Astronauts! 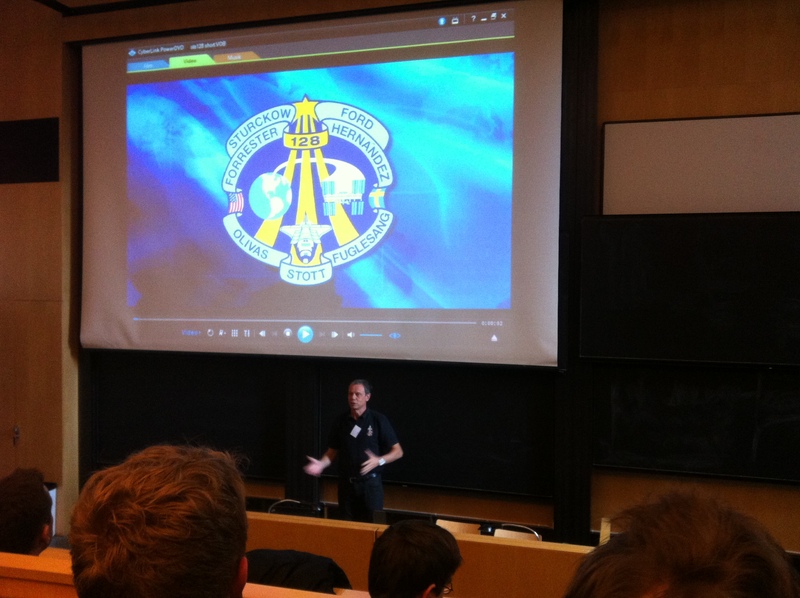 17.45 – Leaving SpaceUp Sweden 2014 – What a fantastic day!